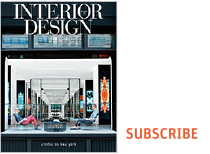 Now celebrating its 14th year, Interior Design's Best of Year has become the ultimate measure of excellence, showcasing what's happening today in every category of design while simultaneously setting the bar even higher for the future. View the 2018 Best of Year winners and honorees. Every product submission receives huge exposure while voting is live on the Interior Design Best of Year voting site from October 7 - 18, 2019. Canceled entries may be eligible for refund until the close of submissions on September 20, 2019. No refunds will be provided following the close of submissions. Product submissions must have been introduced between September 2018 and September 2019. Products/collections may be entered into one or more categories. Products may be entered into one or more categories. Project submissions must have been completed between September 2018 and September 2019 (with the exception of the "on the boards" category, reserved for in-progress projects). Projects may be entered into one or more categories. Products and Projects that have been previously awarded or published are not excluded from entry. The Best of Year awards ceremony draws 1,000+ world-wide attendees from the design industry. Winners are announced LIVE at the event by hosts Cindy Allen, Editor in Chief, and Carol Cisco, Publisher of Interior Design. This year, the event will take place on December 6 at the Javits Center in NYC. Best of Year awards finalists will enjoy two complimentary tickets to the event. Additional tickets may be purchased for $175. View coverage from Best of Year 2018. What categories can I submit to? See last year's list of categories here. The 2019 categories will be posted in June. There is no limit to the number of entries you may submit. Each entry can be submitted to one category at a time. If you would like to submit the same entry to additional categories, you will have the option to duplicate your entry at the end of the form. If you would like to duplicate an entry that has already been submitted, you can go to your completed entries under "My Account" and click "copy". Can I save my entry and return to it later before I submit? Can I duplicate my entry? Can I edit or change my entry once it is submitted? If you need to make a vital change to a submitted entry, please email awards@interiordesign.net. How will I be notified if I am a finalist or winner? You will receive an email if your product or project is chosen as a finalist on November 15, 2019. This email will be sent to the contact email address used on the entry form. Winners will be announced live at the awards ceremony on December 6, 2019 in NYC. A list of the 2019 winners and honorees will also be published on interiordesign.net following the awards ceremony. Product entries will go into a public product gallery and will be voted on by the A&D community from October 7 - 18, 2019. Results are reviewed and finalists are determined by an Interior Design editorial panel. Project entries will be not be subject to public voting but will be judged by an Interior Design editorial panel. Am I allowed to promote my entry on social media to encourage more votes?